Giving children an allowance is a rite of passage, but there are many questions about what is and is not appropriate at each age. Determining how much to give them and when to start is only part of the equation. There are many benefits of allowances. It lets you teach your children about money and how to manage it. It also helps to teach them responsibility. There are some cons to giving a child an allowance, though. However, some situations can come up as they get older. Some teenagers may not want to work a regular job, but instead ask to have their allowance limit raised. This can be a bad thing, as they will not gain real world work experience. It can also put a strain on your budget if you allow it. They may also choose to use their allowance to pay for random things they want rather than saving it. This can be prevented by talking with them about financial goals as they get older. Giving children the chance to be in charge of how much they earn also helps them to learn to manage their money. If they realize that they have not earned enough to be able to get the things they want, they will understand that they will have to save up. 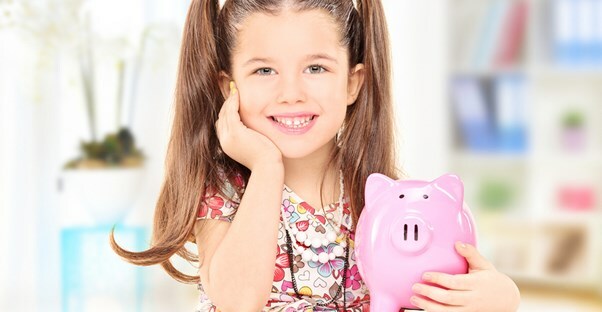 Making an allowance a learning experience is important in making sure your children are financially savvy in the future. It is also a good idea to start a savings account for them to start using for long term goals. The age you should start seems to always be a debate. It is best to decide based on maturity level rather than age. One 6-year-old may be mature enough to handle an allowance, while another 8-year-old may not yet have reached that level of maturity. Once you feel that children are mature enough, they can start earning their allowance by doing chores. This will also help determine how much money they can earn each week. There should be a limit for each age, however, so that they are not given too much money for their responsibility level. A good rule of thumb is to set a price to be paid for each chore, rather than a set amount for each age. Dishes might earn them $2 while taking out the trash may only earn them $1. This makes it so that your child can have some control over how much their allowance will be. If they want to earn $20, they would have to determine how many of each chore they would have to do to earn that amount. This makes them responsible for how much they can earn. It does not matter when you implement an allowance. What matters most is that you continue to stay consistent and teach your child along the way. The result should be an adult who is able to handle financial situations with ease and confidence. Following this approach is a great way to start towards that ultimate goal.